Tableau vs Qlik Sense Verdict – Tableau offers a data visualisation platform that is easy to use, but limited in functionality. Qlik offers QlikView for production analytics and Qlik Sense for self-service analytics. Choose Tableau if your needs are ease-of-use and fairly limited. Use Qlik Sense if you need ease-of-use, but have many diverse data sources and may need to become more sophisticated in your analysis. Tableau has very successfully captured a pent-up need for easy data visualisation. It majors on the ability to be up and running very quickly, and the ease with which the platform can be navigated. 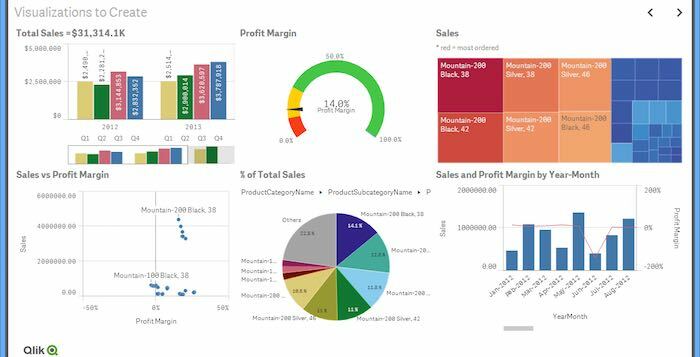 It is not an enterprise BI solution, and the fact that many suppliers are integrating Tableau into their products demonstrates very well that it is an add-on. Tableau comes in a desktop version (most popular), a server edition and online – this latter proving to be very popular. The basic capability includes dashboards which can access a large number of data sources including databases, cloud data sources and big data. There has been criticism of Tableau performance on large data sets, but the company has made some improvements in this area recently. Qlik Sense is the product which compares most directly with Tableau, and can be seen as Qlik’s response to Tableau’s run-away success. 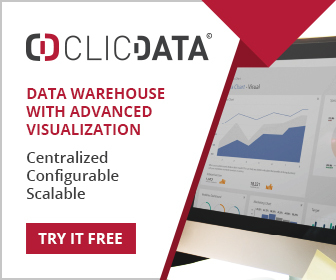 It compares well with Tableau’s ease-of-use, but is more powerful and the data engine behind Qlik Sense and QlikView makes finding and using data very easy. Qlik Sense is available for the desktop as a free download! Obviously if you want to set up the full Qlik infrastructure it’s going to cost. Like Tableau, Qlik supports many data sources – databases, big data, cloud data, but with the difference that the associative data engine produces an integrated view of data with in-built knowledge of the relationships between different sources. Qlik can also be used for embedded analytics, where a dashboard, report, table or chart is embedded into a production application. Qlik Sense is also available online.